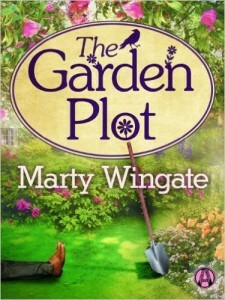 This is the first book in the Potting Shed Mystery series by Marty Wingate. From what I have read, “The Garden Plot” is also the first mystery that Ms. Wingate wrote. I recently read “The Rhyme of the Magpie” which is a first in another series by the author and enjoyed it so much, that I sought out her previous books. I am certainly glad to have done so. For a first book, “The Garden Plot” is an excellent cozy mystery. This seems to be a series which has lost its steam. I’ve enjoyed reading the books up to and including, the last one, but with “Captain Underpants and the Sensational Saga of Sir Stinks-A-Lot”, it seems as if the author is not really connected with the kids who enjoy his books. “Remember Mia” is the story of a woman who has literally lost her seven month old daughter. It is also a story about the deep postpartum depression a woman can suffer from following birth. The first third of the book moved a little slowly and, frankly, I had a hard time reading about Stella’s inability to care for her child. I was blessed not to suffer from this after my children were born and reading about it was very difficult to do. 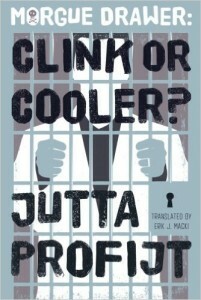 “Morgue Drawer: Clink or Cooler?” is the fifth and latest entry in the Morgue Drawer series by Jutta Profijt. 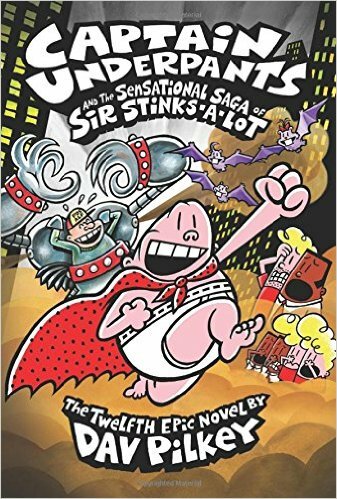 I have read the entire series and have enjoyed all of the books. The latest one is one of my favorites. All of the characters are well-established, so there isn’t a lot of time being spent explaining their back stories – the book concentrates on the murder mystery and the whodunnit. Speaking of which, I was able to figure out the whodunnit fairly early on but I was stymied by the whydunnit. That kept my interest piqued as I read through the story. I’ve recently started enjoying adult coloring books as a way to relieve stress and some of my favorite books are “Enchanted Forest” and “Secret Garden” by Johanna Basford. When I saw that “Enchanted Forest” was going to be available in postcards, I pre-ordered them immediately. They just arrived and the images are lovely. They are smaller representations of some of my favorites from the book. There are 20 different images to have fun with. The images are much smaller and are a little more difficult to work with (at my age.) I plan to use my Dazor magnifying lamp to do the detail work and will probably use my Copic or Spectrum Noir Next Generation alcohol-based markers to get the type of detail I think I will want with these postcards. “Knitting Fabric Rugs” has 28 stunning designs by Karen Tiede. I have crocheted rugs before but I have knitted one. I looked through the digital copy and was so enthralled by the possibilities that I immediately ordered a paper copy to have in my craft library. There are so many lovely designs, that it is hard to choose which one to start with. The patterns range from fairly easy to more involved, so the book should appeal to beginning knitters to more advanced ones. I am what I consider an advanced beginner in knitting as I have only been knitting for seven years and most of my projects have been fashion accessories. 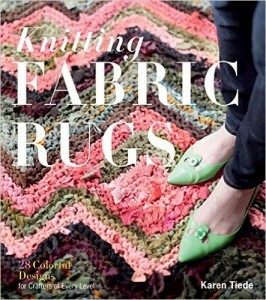 I’m really ready to try something different and the idea of knitting a rug is very appealing. 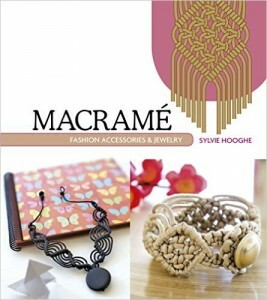 I was extremely happy to see a new book about Macrame with up-to-date jewelry and fashion accessories. I learned to macrame years ago and and it was a hobby that I had relegated to the sideline due to lack of updated materials and patterns. I recently just started to re-learn the craft and found that there are lots of new materials available. What I needed was some new patterns and “Macrame Fashion Accessories & Jewelry” by Sylvie Hooghe does a great job of filling that need. 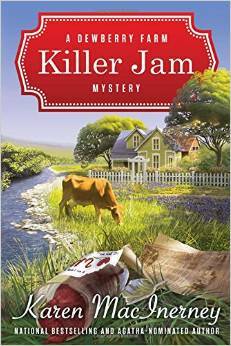 “Killer Jam” is the first in the new Dewberry Farm mystery series by Karen MacInerney. 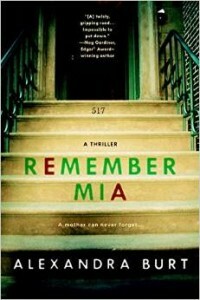 This is the book I have read by Ms. MacInerney. It does well as an introduction to a new series, which by its nature, is a little more involved than sequels. We are being introduced to all of the characters and that takes some time and explanation which in turn takes time and pages away from the rest of the story. 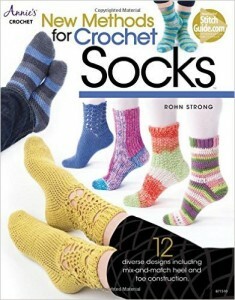 “New Methods for Crochet Socks” is a set of twelve crochet sock patterns by Rohn Strong. The socks look lovely and I would rate them to be intermediate and above. If you are a beginner at crochet, take your time, be sure you have a resource (friend or online) where you can ask questions if you get stuck, and you should be able to work your way through. I would not suggest these socks as first projects, though, so try a few less involved items first to become comfortable with crochet and then get ready to tackle these. The book arrived and while I was thrilled with the material, I actually had to have Amazon replace the book because it arrived damaged in shipment. That has nothing to do with the subject matter of the book but it temper my enthusiasm for a minute or two. 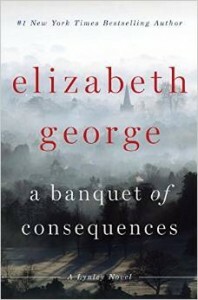 It has been a number of years since I have read one of the Inspector Lynley books by Elizabeth George. It was surprising to pick up the latest “A Banquet of Consequences” and find that it fit my mood and my remembrances like a well-worn glove. I stepped back during my read (be aware that this is a fairly long book at almost 600 pages), and took a look at some of the intervening books that I had missed. I was surprised to see that the reviews tended towards the average. If that is the case, then Ms. George is back on the mark with this book as it was truly an excellent and nicely long read.